Ready for some heart-pounding action? 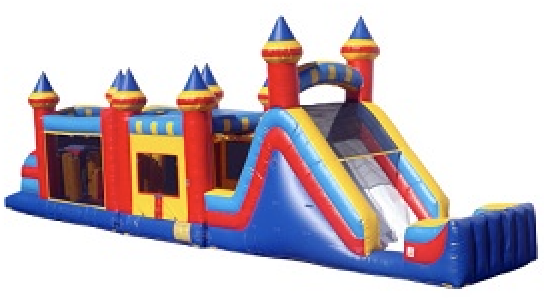 Take a run through our massive 52 foot 3 piece obstacle course - run, dive, duck, climb, bounce, slide and race friends to claim all of the bragging rights! This is an awesome addition for any event. 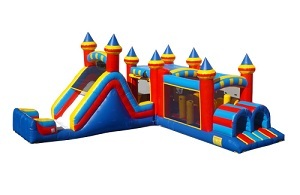 The Royal Bounce Obstacle Course has a unique feature in that it can be set up in a L shape as well. Your choice of set up at the time of delivery!